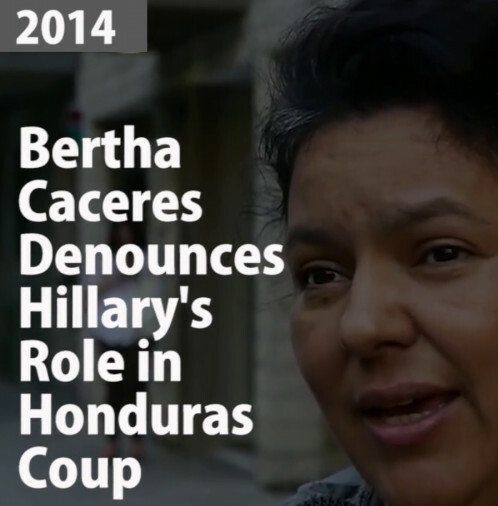 "We're coming out of a coup that we can't put behind us. 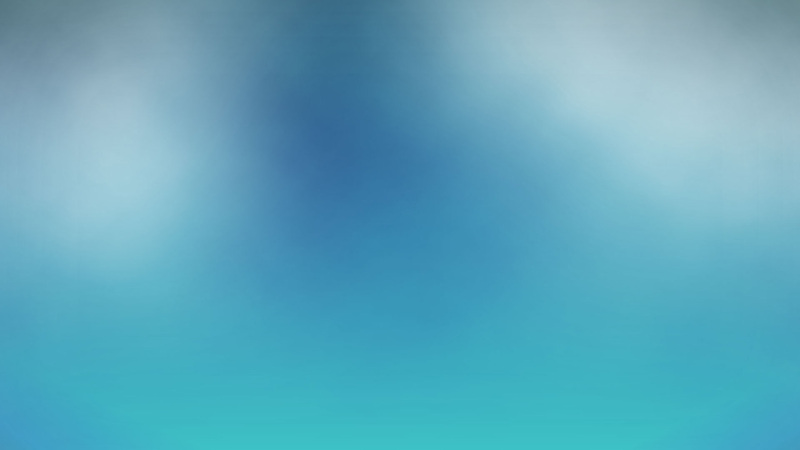 We can't reverse it. 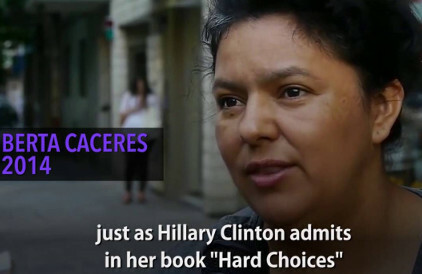 It just kept going..The same Hillary Clinton, in her book, Hard Choices, practically said what was going to happen in Honduras..And here, she, Clinton [backed the coup leaders] even though we warned this was going to be very dangerous and that it would permit a barbarity, not only in Honduras but in the rest of the continent. 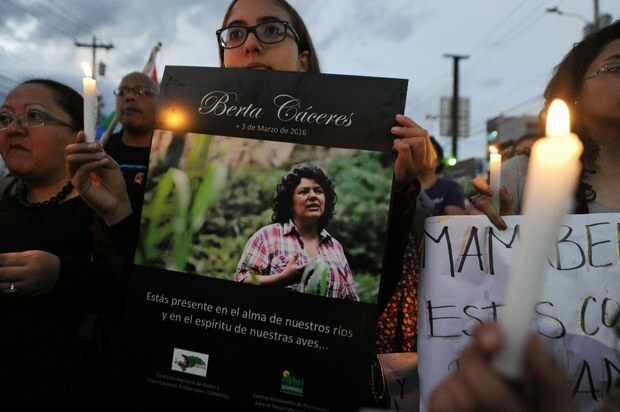 And we've been witnesses to this." 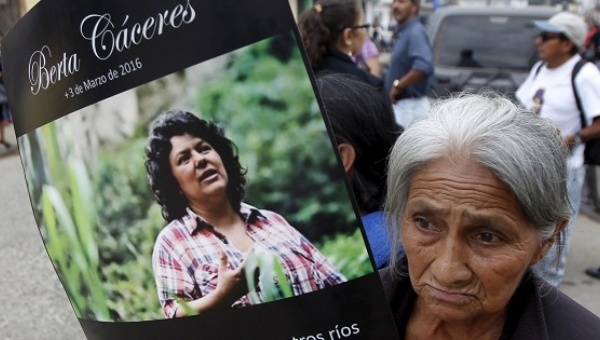 –Assassinated Honduran environmental activist and Goldman Environmental Prize winner Berta Isabel Cáceres Flores (1973-2016) speaking in 2014 in post-coup Honduras, who was murdered in her home in 2016. 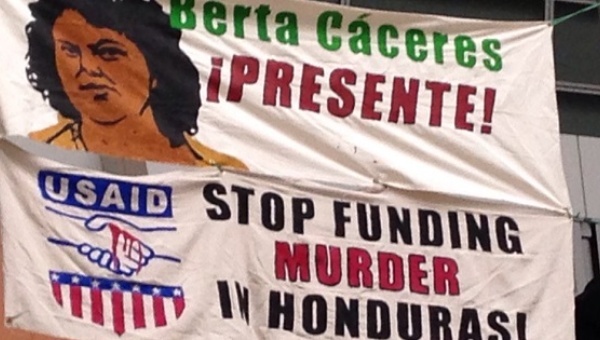 UPI wire service ran a 2016 story Why this protester is blaming Clinton for the murder of a Honduran activist and noted "Honduras [following Hillary-backed coup] currently tops the World Bank's list of countries with the highest rate of intentional homicides." 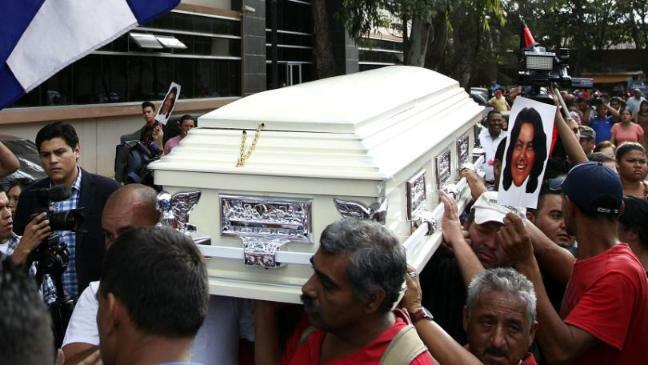 and that following the "removal of" (coup against) democratically elected President Zelaya, "the U.S. Embassy in Honduras determined ' that there is no doubt that the military, Supreme Court and National Congress conspired on June 28 in what constituted an illegal and unconstitutional coup.' 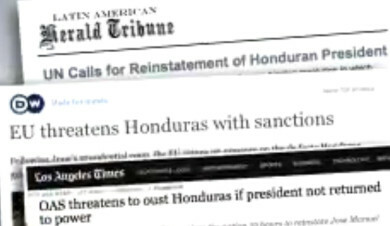 "
But while other regional countries (Organization of American States - OAS) as well as EU and UN wanted to demand the coup plotters return the elected President Zelaya to power, Hillary instead decided to help the coup leaders, and not insist on the return of the elected president, and, instead let them hold "elections" under the brutality and violence of the Coup Regime, practically ensuring the rightful but coup-ousted President would not win under such ""election" conditions. 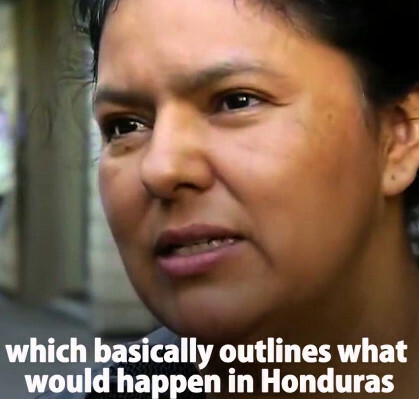 As Democracy Now reported "Before Her Assassination, Berta [Flores] Singled Out Hillary Clinton for Backing Honduran Coup"
What's worse than insulting immigrants and refugees, is Hillary Clinton, in country after country creates refugees, countless deaths, impoverishment, and misery for civilians a large portion of whom are very groups — women, children, Muslim, non-whites — she claims to care about — yet not once or twice but time and time again, in country after country, the very people whose lives are shattered or ended, by Hillary's policies.